The Ridgeback Flight 4.0 road bike combines a flat handlebar position with perfect gearing to create a fast and stylish bike. 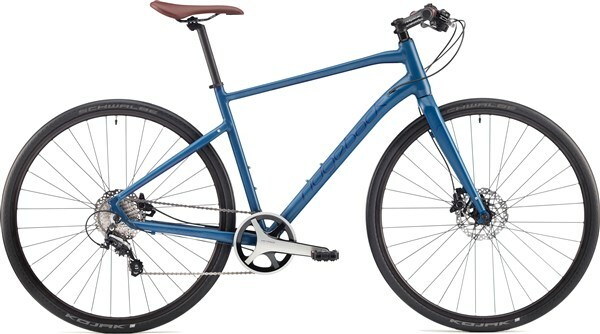 With a strong 6061 heat-treated aluminium frame, complete with rack and mudguard mounts, and internal cable routing, the Flight is neat and versatile. This flat handlebar road bike has 35c Schwalbe tyres for added control and comfort. The brand-new Shimano Metrea 11 speed drivetrain gives top level performance and reliability. Shimano also takes care of the braking with their powerful hydraulic disc brakes for all weather stopping confidence. Stay at the front of the pack with the Ridgeback Flight 4.0.